When it comes to doing festival themed nail art, I am so not on time, ever!! But this time I wanted to celebrate the 67th Republic Day of India in my style with a simple and easy to do nail art and also provide you with the tutorial! Keeping the colors of the Indian flag in mind I did this design. And also made a tutorial because you can do this without tools! 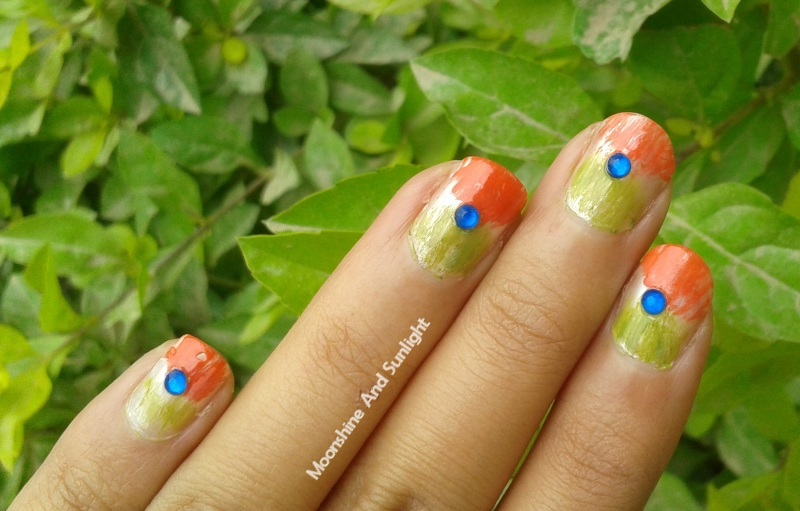 So let’s get started with the tutorial so that you can flaunt the Indian Flag’s colors on your nails! Take a sheer pearlescent white nail polish, I am using the Maybelline Colorama Pearl here. Apply two coats of this white polish. Using a fan brush (If you have a nail art fan brush) or using the Dry Brushing technique, first dry brush with the green color near your cuticles. Similarly like the green nail polish, dry brush near the tip of your nail using the saffron color. Make sure you leave out a little bit of white in the middle! Seal off the design with a top coat , clean up the mess caused by the green polish and you are good to go! 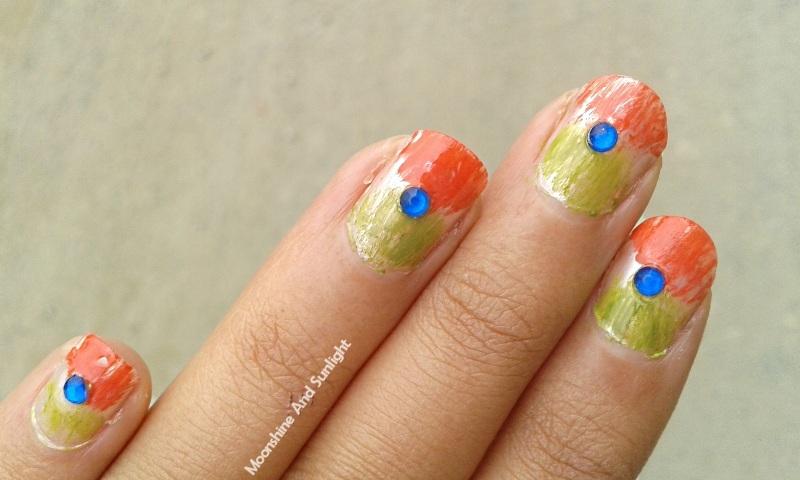 This is a super simple nail art and you can definitely try this at home without any tools! Hope you like the tutorial! Let me know what would you like to see more, picture tutorial or video tutorials! Have fun this Republic Day!